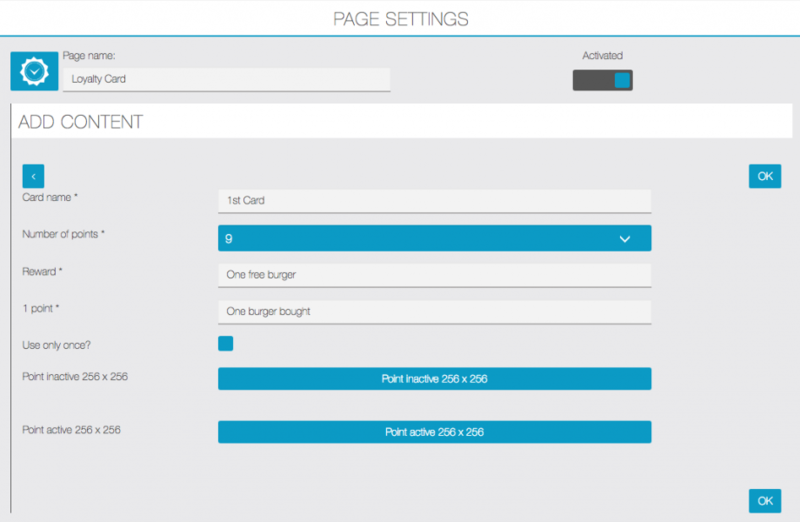 With the Loyalty card feature you’ll be able to create a loyalty’s punch or stamp card. It means there will be a reward after a number of purchases. For example “one burger for ten bought”. To validate a loyalty point the business owner will have to enter a four-digit password. As with loyalty stamp card, the client has to show his card to the retailer for stamping it, with our digital loyalty card, the client has to show his smartphone and the retailer has to enter his four-digit password to validate a point. 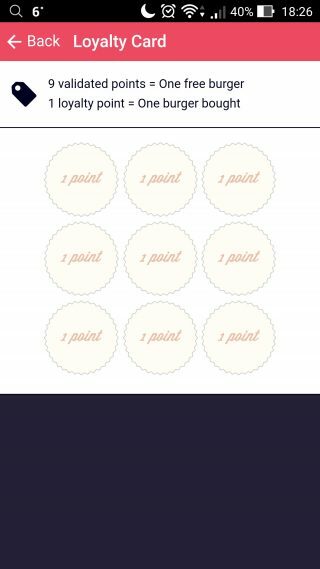 You can also add your own pictures to illustrate the points of the card with the buttons “Point inactive” and “Point active”. 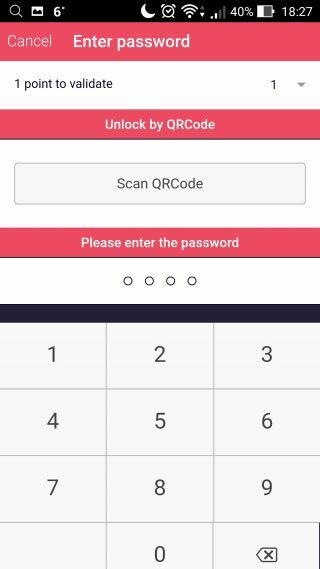 It is possible to create a password and QRcode for each employee. 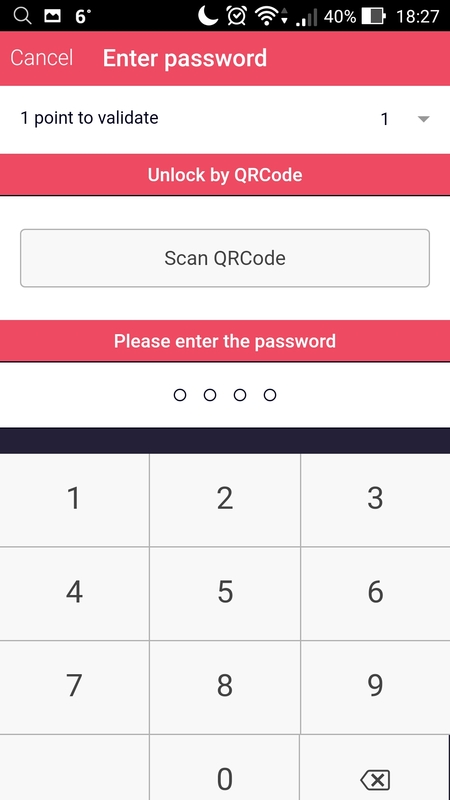 By clicking on the QRCode logo you can download a QRCode that can be used instead of the password. The retailer chooses the number of points and enters his password. It is not possible to edit or delete a loyalty card. Why? 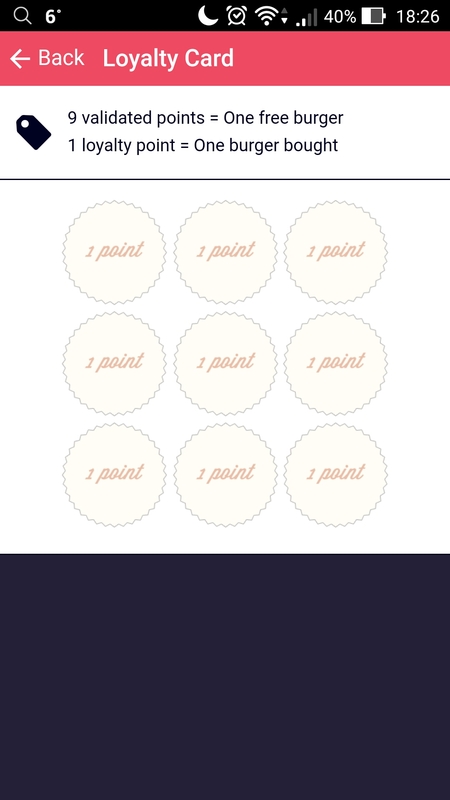 Because it works like a real punch card, when a user gets a punch card with a particular offer and begins to validate some points on it, it can’t be changed (meaning that it would be too easy to attract customers with a big offer and then to change it for a lower one while they already have some points validated on it). But it’s possible to create a new card with a new offer. All the customers who have already validated points on the old card, will keep using this card until it is completely validated, and then they will get the new card. The customers who haven’t validated points yet on the old card, will get the new one instead.